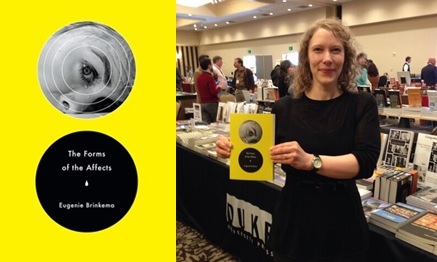 Complementing her 18 published works, “The Forms of the Affects” closely cites notable thinkers such as Sigmund Freud, Soren Kierkegaard, and Alfred Hitchcock to explore form, structure and aesthetics, and their relationship to sensation. Duke University Press published the 368-page study this past March 2014. In 2002 Eugenie received a JKCF Graduate Scholarship allowing her six years of study at Brown University. After studying modern culture and media, she completed her Ph.D. and became Assistant Professor of Contemporary Literature and Media at MIT. A few of her research interests involve film theory, violence and representation, critical theory, and gender and sexuality. Needless to say, Eugenie has taken full advantage of her education and is flourishing in the academic world. We are very proud of her accomplishments and most recently, her very first book!